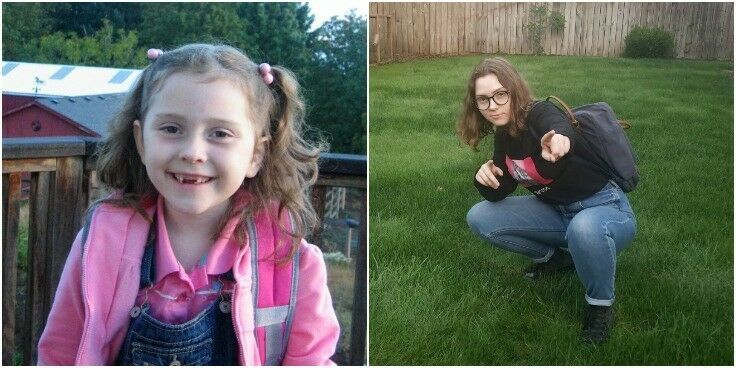 Our youngest on her first day of 1st Grade & first day of her Senior year. Time flies fast, my friends. All but the youngest have gone off to college now too, but as anyone who has ever done so will tell you, sending a child off to college is an entirely different experience from packing them off to first grade. Anyway, this rite of passage got me reminiscing, and as I got online to update Em’s lunch account, I got to thinking about the cafeteria and the school lunches of my childhood. I was one of those kids who got hot lunch almost every day. 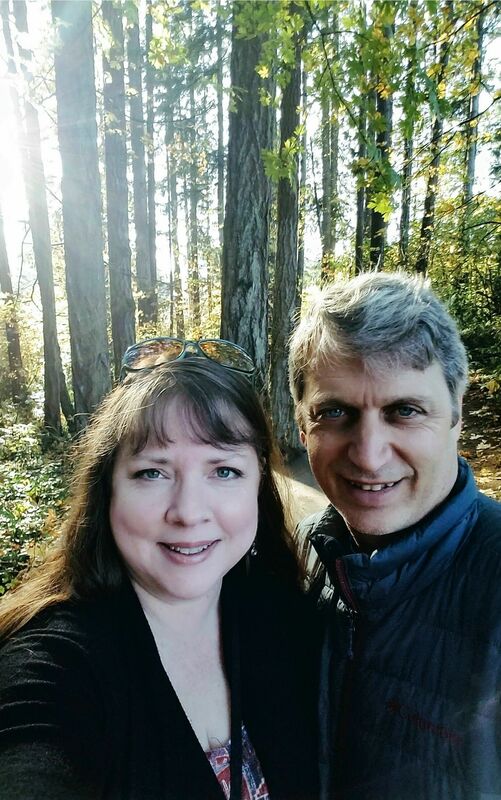 Both my parents worked outside our home and mom wasn’t the lunch-packing sort, so until I got old enough to where my mom would let me pack my own lunch, I was most often in the hot lunch line. Most days, the actual food served for hot lunch wasn’t all that awesome, but ever so often, it was great. I mean, truly Good. My favorite was Chili & Maple Bar Day [I’ll get to that here on the blog someday – you’re gonna love it! ], and my second favorite was Pizza Day. Oh sure, by the time I hit my tweens, my mom had finally decided that she’d give the pizza at Amalfi’s a try, and from then on we had it at least once a month. But even though I have had countless amazing, hand-tossed, artisan-created, wood-fired, rustic pizzas since those long-ago days, a slice of old school cafeteria pizza now and again is a comfortable, reassuring memory. It’s also a super easy, economical way to feed a ton of people! 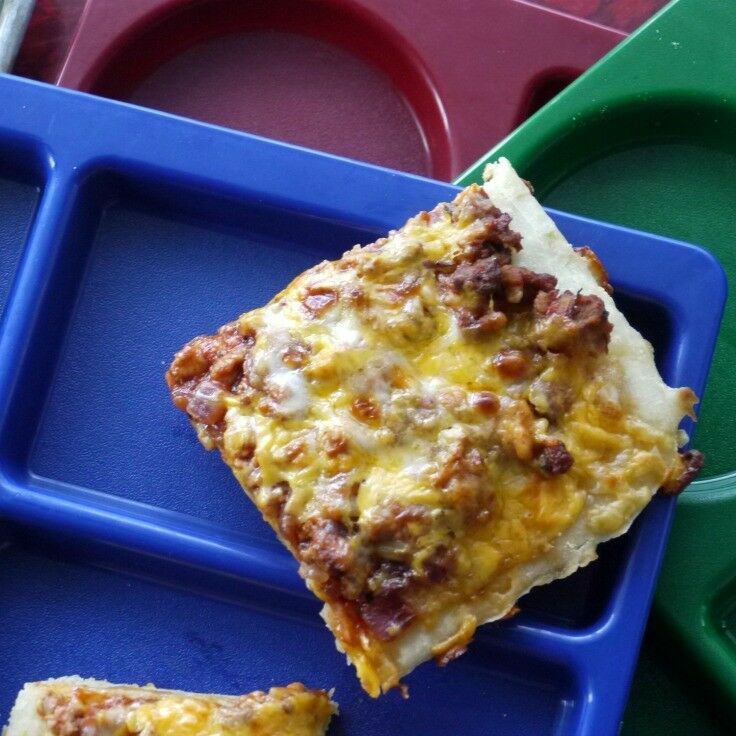 To recreate the unique flavor blend that is School Cafeteria Pizza, you basically need three elements: (1) pourable pizza crust; (2) pizza topping sauce; and (3) grated cheese (but not just any cheese!). 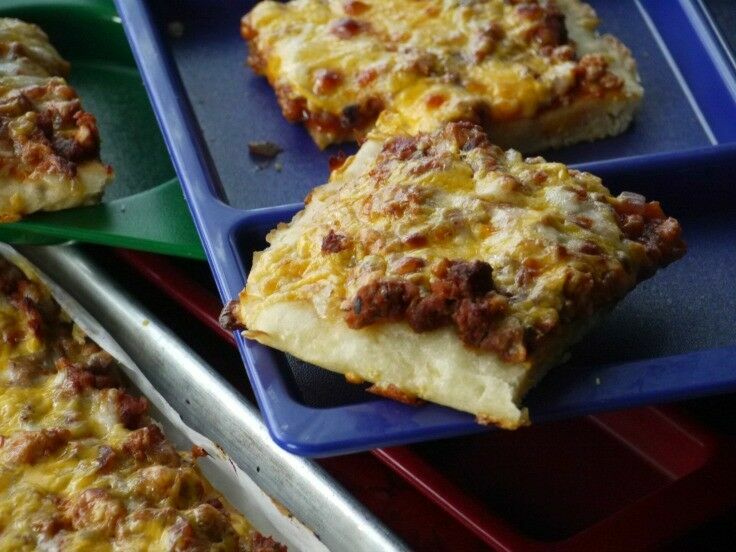 The pourable crust is arguably the most critical piece of the puzzle because it gives school pizza its unique texture and bite. Every source I could find for school pizza crust made enough dough for at least eight full-size sheet pans; however, after some tinkering, I was able to adjust the recipe down so that it is just right for a single half-sheet pan. Which brings me to the final element – the Cheese. 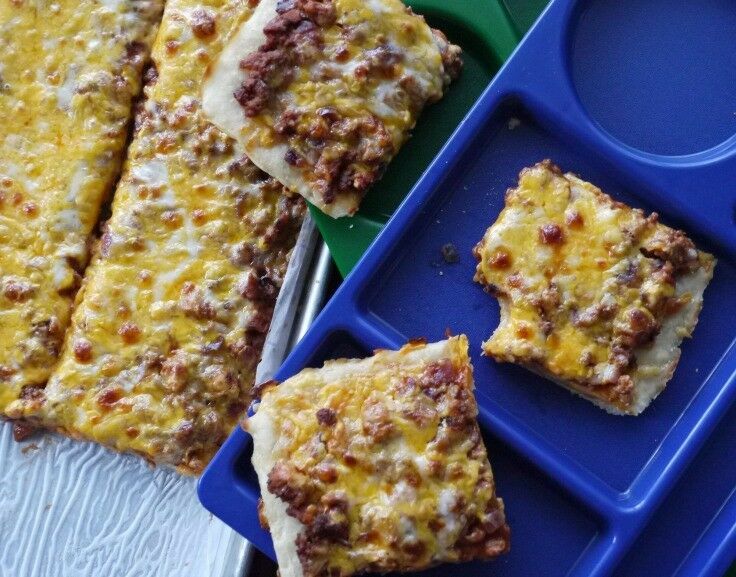 Back in the day, school pizza was blanketed in a golden brick of mystery known as Government Cheese. Government cheese was ubiquitous in the cafeteria of my youth, in grilled cheese sandwiches, lasagna, mac-n-cheese, and of course, pizza. If you have never experienced government cheese in all its glorious goldenness, you don’t know what you are missing. Rumored to have been created from the tears of Midwest dairy farmers, this “pasteurized process American cheese product” wedges in on the dubious side of the cheese wheel, somewhere between Velveeta and Kraft Singles. However, since I don’t have access to government cheese these days, I have created a blend that comes pretty close and gives this cafeteria pizza recipe its authentic, old school flavor. PRO TIP: If you want to recreate old school Cheese Pizza, just leave out the meat and double the tomato sauce and spices to create the sauce. It really is as simple as that. Line a half-sheet pan with parchment paper. Spray with cooking spray and sprinkle lightly with cornmeal. Tilt the pan back and forth to distribute corn meal evenly. Set aside. Combine yeast, flour, dry milk, sugar, and salt in a medium mixing bowl. Stir in oil and mix until oil is completely combined. Add warm water (130°F) and mix thoroughly for about 5 minutes. Mixture will be very sticky. Pour mixture from bowl onto prepared pan and spread evenly using a spatula. Set dough in pan aside to rest for 20-30 minutes. Pre-bake crust at 475°F for 10 minutes. Remove from oven and set aside until Pizza Topping has cooled slightly. Prepare the pizza topping while the pizza crust is "resting." 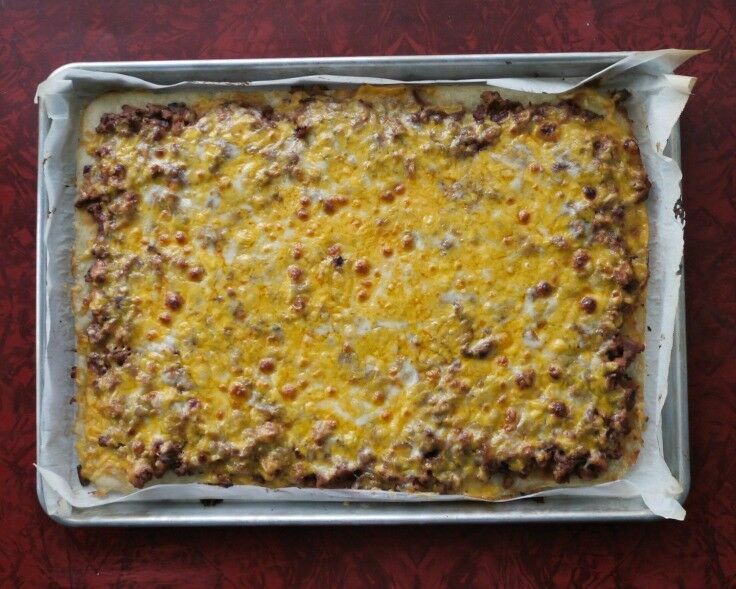 In large skillet, combine chopped onion, mild Italian sausage, and ground beef and cooked over medium-high heat until meat is thoroughly browned and onion is soft and translucent. Add tomato paste, water, brown sugar, and dried herbs. Reduce heat and simmer uncovered for 15-20 minutes. The mixture is done when it is no longer runny. Allow topping to cool slightly before spreading it on pizza. Combine three grated cheeses in a medium bowl. Carefully spread the Pizza Topping over the pre-baked Pizza Crust. Top evenly with Cheese Blend. 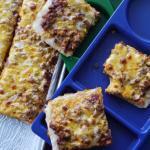 Return pizza to hot oven and bake an additional 15-20 minutes. Thank you so much for being a faithful reader and supporter of The Good Hearted Woman. Be sure to Pin and print this recipe! 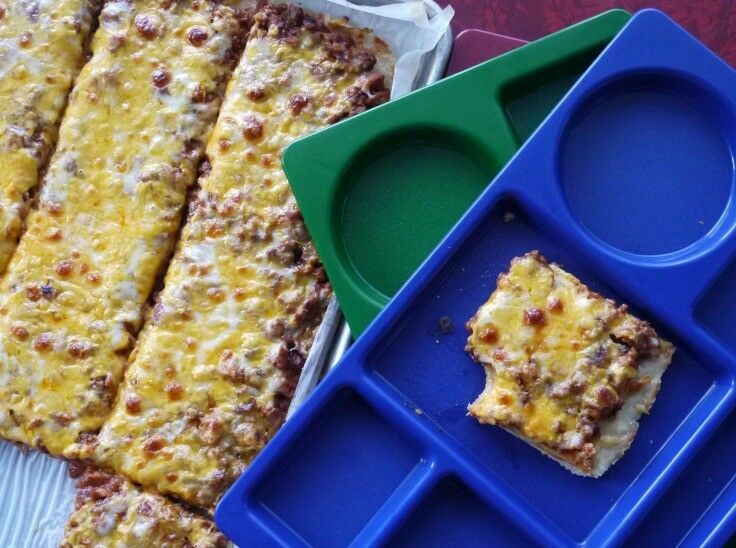 I totally remember school pizza! I loved pizza day too. This is a fantastic recipe to grab on to some of that comforting nostalgia! 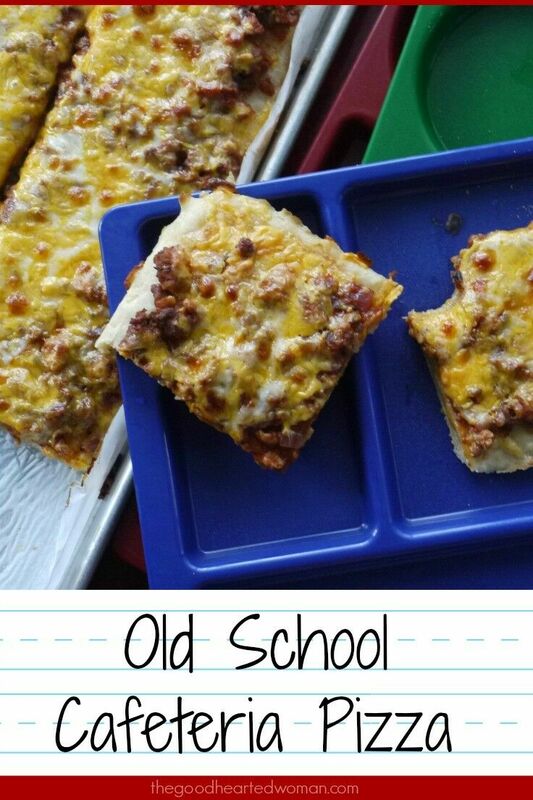 I used to love school pizza! What a tasty idea! Oh my gosh, I MISS this! Can’t wait to try and I know my kids will be all over it. Loved pizza day at school!!! This brings back some memories! What an amazing treat!! I am surely going to try it! I love a retro inspired recipe! And who doesn’t love pizza! This looks great Renee!